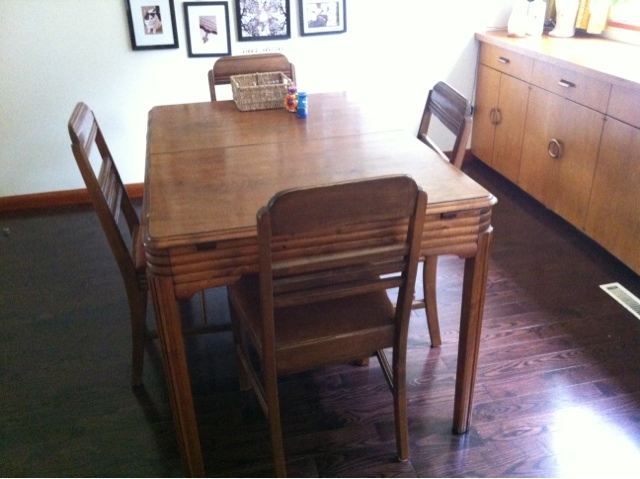 John and I bought a new-to-us dining room set straight out of the 40s. We love the detail and the colour of the wood! 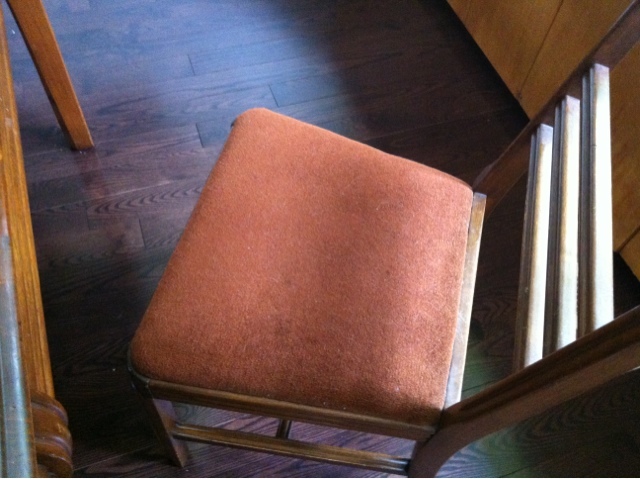 Unfortunately the chair pads are not really in our (my) realm of decor, so I'm going to have to recover them. Easy as pie, but oh to find the right fabric...! See what I mean? The cushions are comfy, but not really "us." We couldn't resist the set, though! It's it great? !